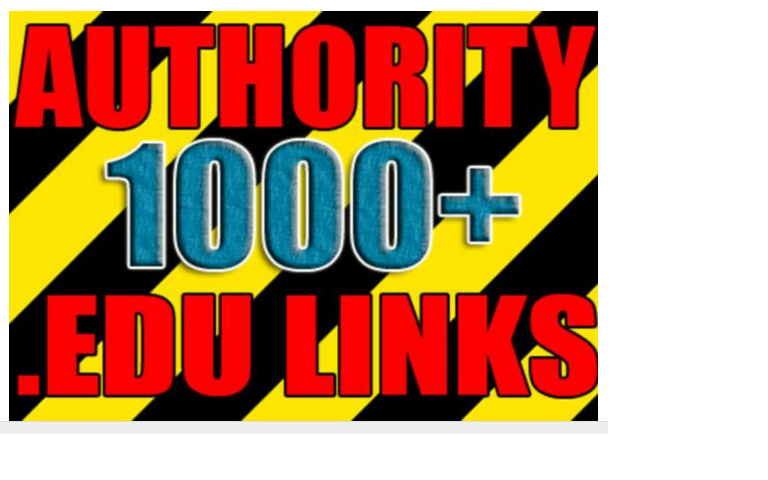 Improve your website rankings with this affordable authority .edu links (and some bonus .gov's) package! These valuable donor domains have more power then regular domains due their better SEO weight, they are up to PR 8 and ready to power up your website authority! Exploit Google, Yahoo and Bing love for authority connections now! Get trust and rank easy! You receive VERIFIED = LIVE edu backlinks report. Check out this gig extras for even more quality link juice for Your website! make over 1000 VERIFIED live edu links is ranked 5 out of 5. Based on 1 user reviews.